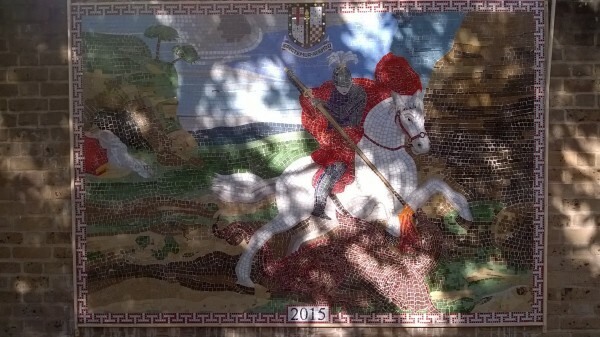 This is the glorious new mosaic of St George and the dragon that was unveiled this week at Cato Road Pocket Park, off Bedford Road in Clapham. 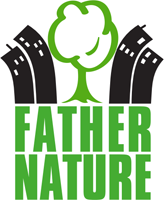 Father Nature's Mr Badjie provided the manpower to erect the base and fill in the plastering while the mosaic itself was designed and created by local artist Giorgio Barsanti. 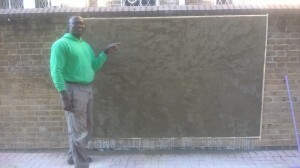 The piece boasts literally thousands of tiles, and just as many man hours. It looks amazing here in the Autumn sunshine - next time you're passing, stop by and take a look - it's breathtaking. 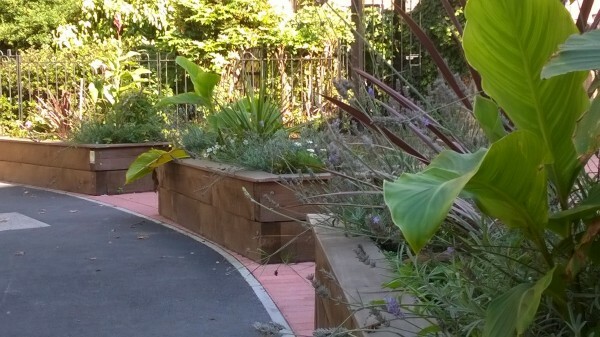 Giorgio also designed the pocket park itself, and back in April this year, Father Nature helped Giorgio and The Friends of Cato Road to transform the Cato Road alley into a flowering community meeting place. A few months on, I think we have to say it looks blooming marvelous!